Surprising results from a unique bat study in the US reveal shifting behavioural patterns due to environmental change that could have far-reaching implications for agriculture globally. Historical radar data from weather monitoring archives have provided unprecedented access to the behaviours of the world’s largest colony of migratory bats and revealed changes in the animals’ seasonal habits with implications for pest management and agricultural production. The work, which focuses on the Bracken Cave colony in southern Texas, is the first long-term study of animal migration using radar, say Phillip Stepanian and Charlotte Wainwright, meteorologists from Rothamsted Research. The pair’s findings are published today in Global Change Biology. “These bats spend every night hard at work for local farmers, consuming over half of their own weight in insects, many of which are harmful agricultural pests, such as the noctuid moths, corn earworm and fall armyworm,” says Wainwright. “Our initial goal was just to show that the populations could be monitored remotely without disturbing the colony. We weren’t expecting to see anything particularly noteworthy. The results were surprising,” says Stepanian. 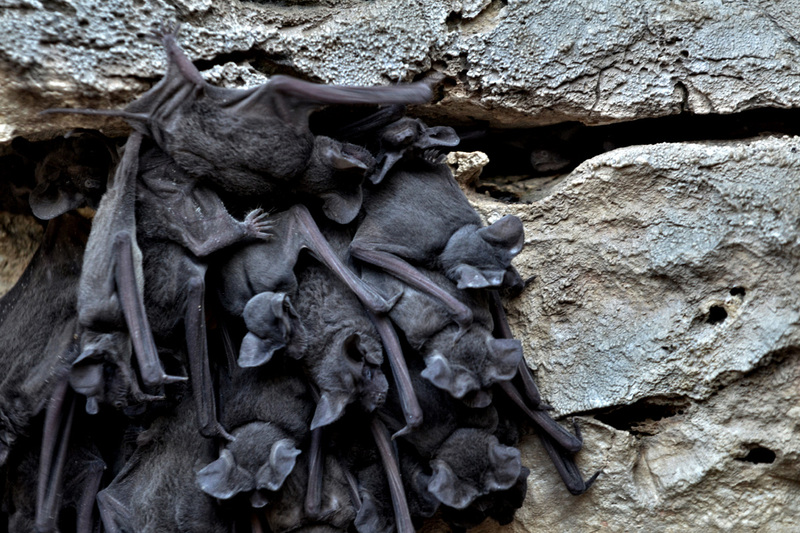 Millions of bats regularly migrate north from Mexico to Bracken Cave, which is managed by Bat Conservation International in the suburbs of San Antonio. Using the radar data, the pair measured the population exiting the cave every night for 22 years, from 1995 to 2017, enabling them to record seasonal and longer-term changes. “We found that the bats are migrating to Texas roughly two weeks earlier than they were 22 years ago. They now arrive, on average, in mid March rather than late March,” says Wainwright. While most bats tend to have left by the end of November, the pair discovered that about 3.5% of the summer population are now staying for the winter, compared with less than 1% 22 years ago and, from written cave surveys, no overwintering bats at all in the mid 1950s.